Democrats essentially won a very technical election last night, fueled by several unique factors giving them the advantage in the House this election cycle. These factors were absent in the Senate races and will likely be absent in many of the 2020 House races as well as in the presidential race. There are potential warning signs for Republicans, but a lot of opportunities if they learn the right lessons. 1) Not bad historically for the GOP: It looks like Democrats will pick up roughly 32-34 House seats and flip control of the House with a 10-seat majority. But Republicans picked up three or four Senate seats. Historically, the number of House seats lost is in line with the sort of backlash the incumbent party incurs in a midterm, especially when they control all branches of government. The fact that they were able to win in the Senate and buck the trend is due to the polarized map working in their favor, but also shows that this was not a historic repudiation of Trump. Obama lost 63 House seats and 6 Senate seats in 2010. Republicans lost five governorships last night (Obama lost six), but some of that was due to bad candidate recruitment and overexposure in blue states. They lost seven legislative chambers, not nearly as many as Democrats did and not bad considering the high-water mark they were occupying headed into the election. 2) This was a realignment, not a wave, even though Republicans were on the short end of it in the House and the better end in the Senate. Republicans reached a high-water mark of power in a lot of House seats, governorships, and state legislatures following the 2010, 2014, and 2016 victories. What we saw last night was the natural blowback against the incumbent party, mixed with the completion of the realignment of suburban-rural districts to Republicans and suburban-urban districts to Democrats. Ultimately, the red areas got redder, the blue ones got bluer, and Republicans were on the short end of the battle for swing voters in a midterm. Thus, in the Senate, they won red states (but lost Nevada), but they could not hold enough House seats in suburban territory. There are warning signs for both parties in this dynamic. Republicans are losing in suburban Houston, Charleston, and even Oklahoma City. But Democrats are losing the last of the FDR coalition of blue-collar workers in the traditional Democrat rural areas. 3) Money matters: Unlike previous wave elections, such as 1994, 2006, and 2010, money was a dominant factor. Democrats had the unprecedented advantage of outspending Republicans, often two or three to one, not just in the toss-ups but in a number of relatively safe GOP districts. This is how they put so many districts in play. There’s no question that without the financial disadvantage, people like Dave Brat would have won re-election. Remember, this financial edge will disappear in 2020, when Democrats will have a presidential candidate sucking up all the oxygen and money, not to mention a very open and competitive presidential primary that will drain funds. The bottom line is that money matters a lot, which is ironic given the supposed concern of Democrats about money in politics. 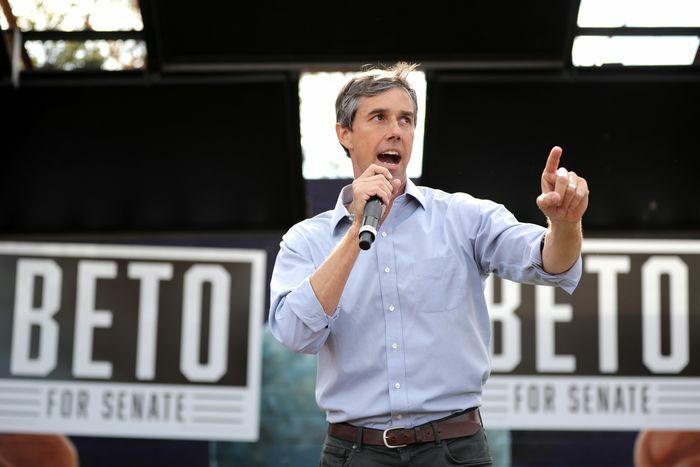 There is no way O’ Rourke would have done so well in Texas had he not spent as much money on the Senate seat as presidential candidates used to spend on national races until fairly recently. Read the rest of the 10 HERE. Just tell poor Trump that the election was no big deal. He's quite testy since last tues.